Crop disease costs farmers billions of dollars each year in lost yields and inputs. For farming communities in developing countries, such losses can mean deepening poverty, food insecurity, and the resulting poor nutrition and health. In Africa alone, it is estimated that crop pests and diseases lead to losing more than half the crops planted. Added to this, some fungal pathogens cause toxic compounds to accumulate in food. In extreme cases, crop diseases have led to widespread famine, social disruption and loss of life – the Irish Potato Famine in the 19th century is a case in point. Overcoming this reality is what motivates plant pathologists like Rebecca Nelson (pictured below, and profiled here), of Cornell University, USA. 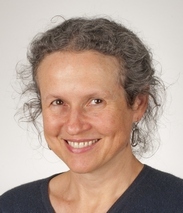 For the past quarter century, Rebecca has worked across four continents to understand the ways in which plants defend themselves against diseases. 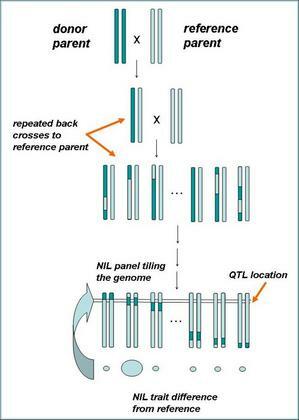 With this premise and funding from GCP, Rebecca collaborated with an interdisciplinary international team from USA, The Philippines, Indonesia and Kenya to identify genes associated with disease resistance in maize and rice. Although the project itself ended in 2009, that was far from the end of the story. In many ways, the end of the GCP project was in fact the beginning of life-changing chapters that followed. Thus far, the project has led to several locally developed disease-resistant varieties of rice in Indonesia and maize in Kenya. To understand the genetic reason behind resistance, Rebecca and her team used a range of genetic tools to dissect various forms of genetic resistance, understand the mechanisms that the plants use to reduce pathogen success, and identify the genes that provide resistance. NILS explained: To create a near-isogenic line, a plant with the phenotype of interest is crossed with a standard line of the same plant. The F1 (1st filial) generation is thereafter selfed (ie, crossbred within itself) to produce the F2 (2nd filial) generation. Through this process, the team identified several genomic regions and specific genes responsible for protecting resistant rice plants against rice blast and sheath blight and resistant maize plants against northern and southern leaf blight, grey leaf spot and ear rot. An underlying objective of the project was to also investigate if some of these genes were responsible not for just one specific disease, but for multiple diseases. While the team found several gene loci in both maize and rice that provide resistance to more than one disease, they have so far found little cross-benefit from the work on the two crops. 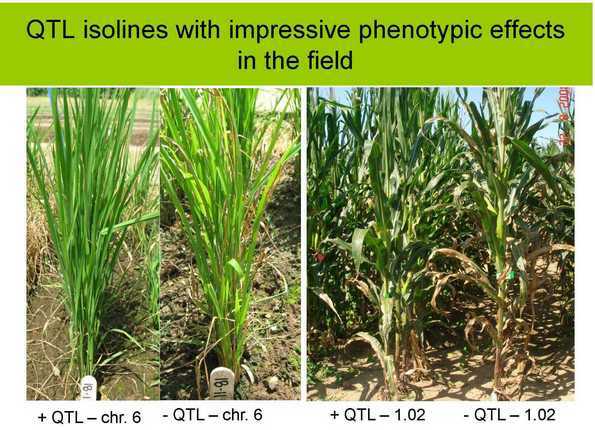 But from their research they have ‘handles’ on the rich diversity of resistance loci in each of the two crops. “Plant breeders will be able to use this information to breed crops for multiple disease resistance, increasing the security of the crop and farmers’ livelihoods,” says Rebecca. A 2008 update: a slide from Rebecca’s presentation at the GCP General Research Meeting in September of that year. 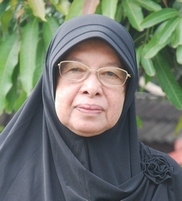 Project scientists from the Kenya Agricultural Research Institute (KARI) and the Indonesian Centre for Agricultural Resources Research and Development (ICABIOGRAD) reflect the involvement of country agricultural research programmes. Other partners included the International Rice Research Institute (IRRI) and four universities: Bogor Agriculture University in Indonesia and Colorado State, Cornell and North Carolina State Universities, all in USA. 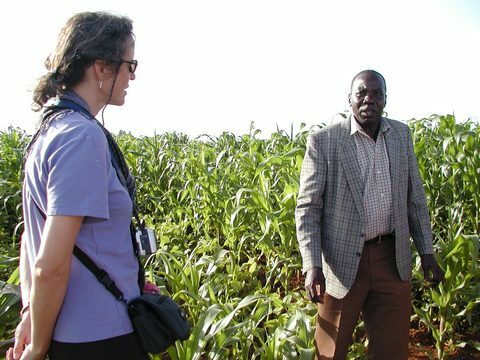 Having a limited background in maize research before the project began, Rebecca was grateful for her close collaboration with KARI’s James Gethi, who was a lead researcher in Kenya. At the time of the proposal, James was a recent Cornell graduate who was returning home to contribute to his nation’s crop-research capabilities. A partnership of long standing: Rebecca (left) on a field visit to Kenya in September 2006. On the right is John Okalembo of Moi University, with James Gethi behind the camera. Aflatoxin is the most carcinogenic natural substance known. It is produced by species of fungi, especially Aspergillus flavus, which can colonise and contaminate grain before harvest or during storage. Maize is particularly susceptible to infection during drought, or when it is attacked by insects, or improperly stored. In 2004, 125 people died in Kenya after eating maize with very high aflatoxin levels. Rebecca and James spent years trying to get support for their work on aflatoxin – the silent cereal killer – and trying to get funding for a graduate student who could take a lead. They made headway while Rebecca was on sabbatical at the Biosciences eastern and central Africa (BecA) Hub in Nairobi. BecA eventually received a major grant from Australia’s Commonwealth Scientific and Industrial Research Organisation (CSIRO), and Rebecca says a strong team is now tackling the issue.